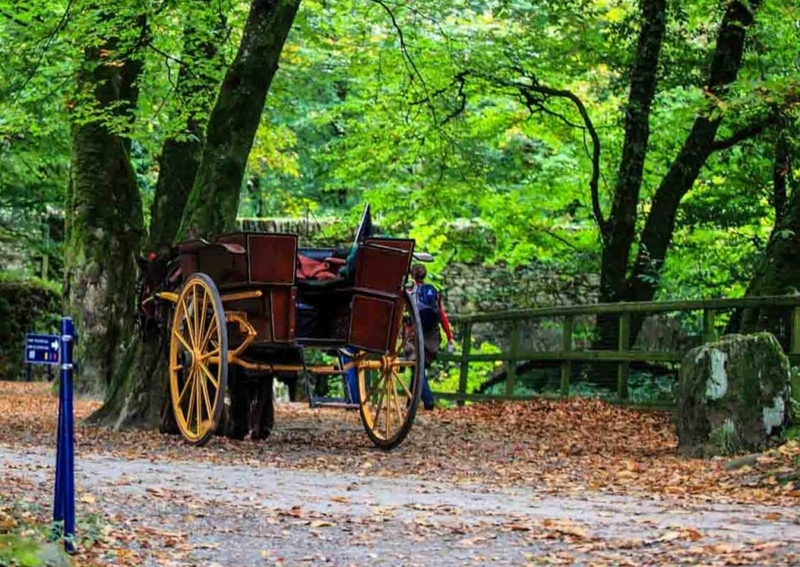 An image synonymous with Killarney is the jaunting car and the local jarveys with their tales and stories of Killarney folklore. The jaunting car is a really enjoyable way of seeing the Killarney and the National Park and you can be collected from the Lake Hotel. The usual trips take one from the town center out to Muckross House within the National Park, along the lakeshore and then back into Killarney again by an alternate but equally beautiful route again through the Park. Other trips such as out to Torc Waterfall are available and we are happy to assist you in booking this while staying with us at The Lake Hotel. Packed and picnic lunches can be organized for small or large groups with advance notice. Information on jaunting car operators is available from hotel Reception and we are happy to make bookings on your behalf. 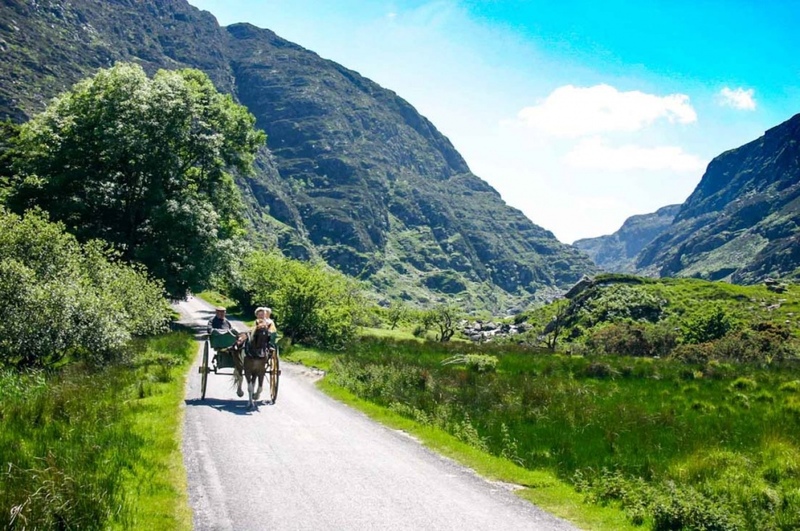 Jaunting Car rides are also available at Kate Kearney's Cottage through the Gap of Dunloe which is also available on the Gap of Dunloe tour. offering the guest a historical picture to reflect on for many a day. When in Killarney it is a must to experience the History. These Jarvey's go back Generations serving the People of Killarney and visitor's alike. They have been an important Link in the Chain of Tourism in Killarney, Kerry, and Ireland. Billy Tangney (our favorite Jarvey) has entertained many Heads of State, Hollywood Stars, Dignitaries and Visitors alike! he is even known to be a clairvoyance and has spoken with the "Little People" better known as "Leprechauns" or "The Fairies" to most of us. When you meet him he can explain more!